HourGlass female burner is exactly that – a fat burner designed especially for women. Hourglass is nice looking brand and customer reviews, opinions and comments are extremely positive. The brand name is owned by Propura Ltd, the manufacturing process is carried out in FDA and CGMP certified facilities located in the USA. It’s unclear why Propura didn’t choose to go with a factory closer to home, but the company has distribution centres in many locations, so the location of the factory is not really an issue and rapid delivery is offered to customers all over the world. Hourglass can be ordered directly (and exclusively) from it’s official website and there are special offers and discounts in place. There are multiple currency options and the site has been translated into several different languages . Women who are searching for the best diet pill to support them in their quest to lose weight have plenty of options to choose from, but most of the female fat burner manufacturers are better at dishing out hype than they are at producing products that deliver results. Although we were half expecting Hourglass to be another pretty poor product, we were immediately impressed by the amount of information provided on the Hourglass website and the site lays it out nice and simple by pointing out there are no magic pills and then proceeding to give a breakdown of the formulation and the various ingredients and what they can do. There’s no getting away from it, the company has come up with an extremely powerful formulation and we have to admit to being very impressed. Glucomannan (1500mg): Numerous studies show the hunger curbing reputation of glucomannan is built on solid ground and the results of one 8-week clinical trial show glucomannan helps lower cholesterol levels too. Capsimax (100mg): A respected brand of capsicum extract. Capsicum helps people to lose weight because it provides a compound called capsaicin that is a scientifically proven fat burner and appetite suppressant. Vitamin B6 (4mg), Vitamin B12 (10mcg): Both these vitamins are added to energy drinks because they help the body make the most of the energy provided by food. Vitamins B6 and B12 are often added to diet pills because their presence helps prevent the energy slumps and fatigue that can make the process of weight loss more difficult than it needs to be. Vitamin D3 (1000IU): Several studies suggest supplementation with Vitamin D can improve weight loss. This important vitamin has added value here because increasing the intake of Vitamin D is a good way to reduce the risk of osteoporosis and, although this debilitating bone disease can effect men as well, women have a greater susceptibility. Green Tea Extract (500mg): A scientifically proven fat burner that can enhance calorie and fat burning for up to 24 hours. Green tea is also rich in antioxidants that improve the overall health. Guarana (100mg): A tropical berry that’s high in caffeine, but releases it slowly. 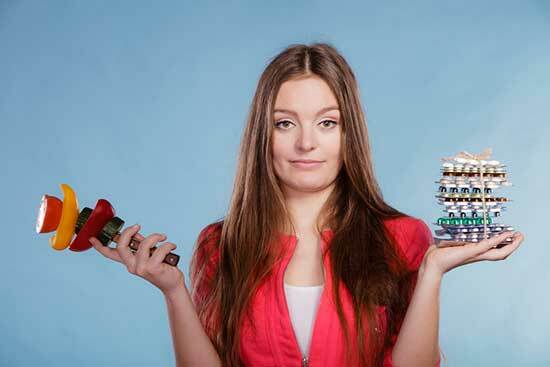 Caffeine is famous for its energy giving ability, but don’t go selling it short. Other benefits associated with caffeine are improved concentration and thermogenic fat burning. Chromium Picolinate (125mcg): Research shows supplements containing chromium picolinate can improve blood glucose control. The ingredient is often added to diet pills because it’s ability to do this can prevent the carb cravings and sugar urges that occur when blood glucose levels fall too low. Bioperine (5mg): Although this branded black pepper extract is unlikely to directly support weight loss it improves the absorption of other ingredients that do. It’s recommended the capsules be consumed with meals and the dose is one capsule, three times per day. At the time of this review, Hourglass had not been available for long and customer feedback was very hard to find. And an excerpt from a weight loss discussion on an internet forum reads: “…those made me feel jittery and nervous too. I’m using hourglass now. All of the ingredients used in the Hourglass diet pill formulation are safe, but women who are pregnant or nursing an infant are advised to check with a doctor prior to using any brand of weight management supplement or taking steps to lose weight. The same advice is offered to people who have exiting health issues and to anyone using medication. Hourglass is backed by a generous 90-day money back guarantee. Any woman who is serious about losing weight would be hard pressed to find a better product than Hourglass. Propura describe it as an “intelligent fat burner”; we’re not really sure what one of those is, but it’s easy to see a lot of intelligent people must have had an input during the development stage because the product contains an incredibly good line-up of ingredients that offer a combination of benefits that cannot fail to provide the kind of results Propura are promising. Hourglass is also a surprisingly cheap diet pill to buy and customers are given a nice, long money back guarantee. We may have had our doubts at first, but our evaluation has laid them to rest and we are more than happy to give Hourglass our highest recommendation. 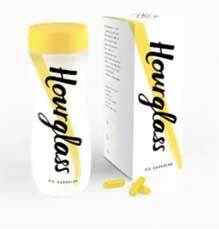 Like most of the better weight loss products, Hourglass is exclusive to the manufacturer’s website. If you see it on eBay or Amazon, avoid it. The item you are looking at is probably fake. Although, Hourglass already has a retail price that is significantly less than the majority of diet pills, it’s still possible to obtain additional value for money because customers who buy three bottles of Hourglass are given a fourth bottle for free.